A meat grinder you say? Yes, I do, and here’s why: Grinding your own meat gives you better flavor, better texture, and it’s safer. A dedicated meat grinder is your best option if you’re planning on grinding on a regular basis, so put your food processor aside. If you own a mixer, most companies offer attachments. 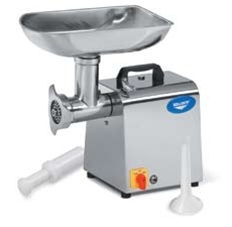 For the true burger aficionado, a standalone meat grinder like this one from Vollrath offers you the power to grind over 200 pounds of meat per hour. Let’s face it; if you’re grinding your own meat, you know exactly how you like to dress your burger. 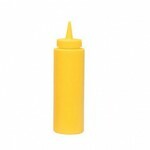 The best way to avoid a mess and store any homemade condiments is in these plastic squeeze bottles. They’re affordable and give you that authentic diner feel. 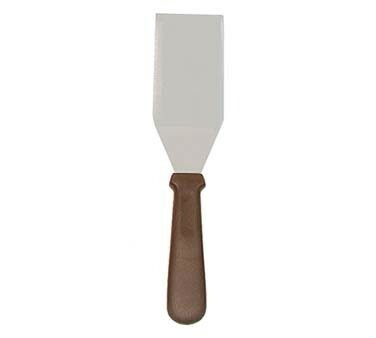 Also known as a spatula, but that’s not nearly as festive, is it? 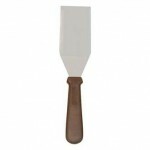 This stainless steel turner is strong enough to keep your burger pressed to the griddle to perfectly sear your patty. 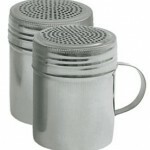 Plus, it’s made of sturdy stainless steel that will last forever and hold up against the highest heat. When you’re working fast, seasoning that 200 pounds of burger you just ran through the grinder, you’ll really benefit from having a high volume salt shaker. 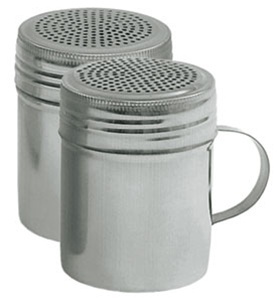 These stainless steel shakers are exactly what you see at diners and drive-ins all over the country. They’re perfect for rapidly and evenly coating your food with a dusting of salt. 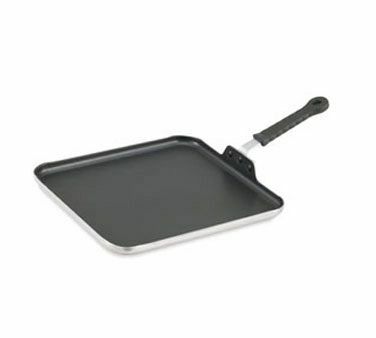 This non-stick aluminum griddle pan is a great surface for retaining high heat and getting a nice sear on your hamburger. It’s durable and a welcome addition to any kitchen. While the deep-walled cast iron skilled is the more common pan for burgers, we prefer the shallow sides of the griddle pan which give you a little more leverage when smashing and scraping up patties. There are several different types of Commercial Griddles on the market, so do a bit of research to determine which will best suit your particular needs! Let’s look and compare the different options out there. MANUAL CONTROLLED GRIDDLE: This is the least expensive option ranging from $429 for a Waring Counter unit to $4,722 for a 72” Star Ultra-Max. The height and intensity of the flame is controlled manually by the grill operator. Since there is no actual temperature measurement, keep in mind that unless you adjust the flame, it will remain constant. If you load the griddle with frozen hamburger patties, and do not adjust the flame, it will take quite a while for the patties to cook. Conversely, if you do not use it for an extended period of time, and try to cook a grilled cheese, or pancakes, the product will burn if you do not manually adjust the flame. For this reason, Manual Controlled Griddles really aren’t very logical in an everyday restaurant. So when is a Manual Controlled Griddle a good option? If you are going to simply load the griddle with food, turn it up, then adjust the flame as it cooks we would suggest this type of unit. Select this option if you are browning and cooking a mass of products like braising off stew meat, or stir fry or hot dog or hamburger buns and tortillas. SNAP ACTION THERMOSTATIC GRIDDLE: In this type of griddle, the thermostat is either fully open, or fully closed. This causes the temperature to cycle around the set point in a tighter bandwidth. Snap Action temperature is held at + or – 10 degrees from set point which makes it far more consistent than a Throttling Griddle. Recovery is also much faster. For example, if you drop a heap of frozen hash browns on the griddle causing the surface to temp to drop, the griddle will snap back to the set temperature. They can increase productivity by as much as 5 minutes under heavy loads. Snap action is more for high volume applications. Select this option if you need precise temperature control. 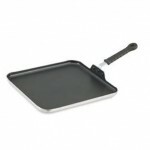 CHROME TOP GRIDDLE: Although very expensive, they have a lot of benefits. With next to no flavor transfer, less heat loss through the surface, and easy clean up, the extra cost can easily be justified. The uniformity of cooking and browning is also superior to the other griddles. Easy to clean, non-stick. Never use a metal utensils, harsh scrapers, or chemicals to clean. Dings and scratches will talk away its nonstick appeal.